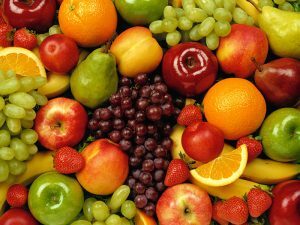 A diet, or should I say way of life, that is exploding on the blogosphere is fruitarianism. Pictures of ripped men and women eating 30 bananas a day and pounds of mangoes, grapes, and pineapple have been circulating more and more this past year. So what is all the buzz about some raw fruit? 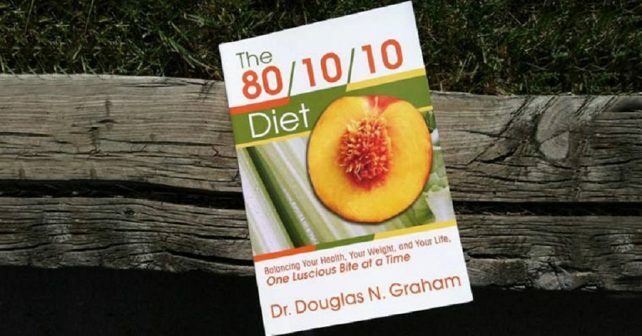 Fruitarianism or the 80/10/10 Diet is a style of raw veganism promoted by Dr. Douglas Graham an athlete and prominent raw foodie. He is an advisor and trainer to athletes around the globe from body builders to soccer players to sprinters. A raw foodist since 1978, Graham came up with the 80/10/10 in 2006. There are famous vloggers that discuss and promote fruitarianism and the 80/10/10 on Youtube and other media outlets that claim to feel close to immortal. Their glowing skin and six-pack abs have people more and more curious about this extreme lifestyle. 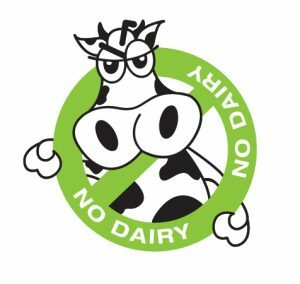 Absolutely no dairy under any circumstances. This version of the raw food diet or fruitarianism recommends obtaining at least 80% of your total calories from fruit carbohydrates while restricting both fat and protein intake an incredibly low 10% of total calories. Dr. Graham says no to supplements and superfoods. He does not believe these additions are necessary. He claims that there is absolutely no essential nutrient that cannot be derived from fruit that is found in legumes, meat, grains, or dairy. So why can’t any of the food be cooked? Even steamed? Raw foodists explain that cooking food makes it more difficult for the body to digest. Nutrients are released and lost during the cooking process. A raw diet allows for a less than 24-hour turn around time for digestion from start to finish. Standard Americans eating cooked foods, meat, and dairy experience a transit time of 72 hours usually. Cooked foods tend to create an excess of uric acid in the body, in addition to ammonia, which are toxic to your body. Cooked grains ferment in the body producing a protoplasmic poison that kills every cell it comes into contact with, according to Graham’s FAQ about the 80/10/10. The biggest argument is how little protein is made available to your body when participating in the fruitarian lifestyle. Only 10%? Well, Graham would argue that you only need 4-8% of calories from protein. Most American’s are essentially overdosing on protein. Protein consumption creates an acidic environment in the body where disease and bacteria can proliferate. Too much protein can also cause constipation and toxicity in the body. The same goes for fat. Fat will thicken the blood in any form whether it is fat from a Big Mac at McDonald’s or fat from the ripest of avocadoes. According to Graham, to much fat clumps red blood cells together preventing fresh oxygenated blood from reaching parts of the body. All right, well sounds great right? People swear by this diet that they were never sore or tired ever again, they lost weight, never got sick, and became sharper mentally. But is this diet safe for everyone? Is it really healthy? Some people who go on this diet thinking they will lose those last ten pounds are in for some disappointment. Eating such huge portions of fruit with all those natural sugars and a spike in caloric intake without increased physical activity can lead some to gain weight. In short, this is not a diet if you are looking to drop weight fast. It is a diet for someone who wants to change their lifestyle completely to support high-level training and athleticism, or overall holistic health for their bodies. With fruit’s high sugar content, gnawing on all that sugar can actually decay your pearly whites. Many of the fruits are acidic and work to erode tooth enamel leaving fruitarians more susceptible to getting cavities. Without supplements fruitarians can often suffer low levels of vitamin B12, which is necessary for a functioning nervous system. Vitamin D, iodine, and omega-3 fatty acids, are also missing from the picture. Symptoms of these deficiencies include: tiredness, lethargy and immune system dysfunction. It is reported that some 8 million Americans suffer from eating disorders. Eating disorders can stem from underlying mental health issues, but extreme dieting can also promote Orthorexic behaviors. Orthorexia is type of eating disorder where the eater is fixated on “bad” foods and “good” foods. Fruitarianism definitely puts more foods on the “bad” list than the good and with a lifestyle that leads to isolation, what could be initially done in the name of good health can turn into an obsession ending in malnutrition. Before starting any diet discuss it with your physician at your next physical exam. Take supplements as a precaution to overcome the vitamin and mineral deficiencies that are apparent. If the diet does not agree with you still after 30-day adjustment period there is a good chance that the particular diet is not a good fit for your body. It is easy to compare yourself to athletes, bloggers, and celebrities. It is hard to admit that we are all different and what works for one person will not necessarily work for another. A less extreme option is to try and integrate as much fresh raw fruits and vegetables into the parameters of your current diet. This is also a good way to transition to full fruitarianism if you so desire. Dramatic shifts are not sustainable in the long run. It is always safest to stick with a diet that is possible to be on 365 days out of the year.